CAVIAROLI is a taste explosion that absorbs the intensity and aroma found in top-quality olive oils with protected designation of origin. This is achieved through encapsulation technology, creating pearls of olive oil that have the same texture as caviar. CAVIAROLI melts in the mouth, allowing diners to enjoy a delicate serving of pure olive oil before it blends in with the dish's other ingredients. Drops are the new creation from Caviaroli, which has teamed up with Albert Adrià to bring haute cuisine to the home. Another step towards being able to enjoy one of the favorites by the chef at Barcelona gourmet tapas bar, Tickets, in the comfort of your own kitchen. It’s excitement, surprise… To describe it in one word: spherification. In two words: spherical olives. 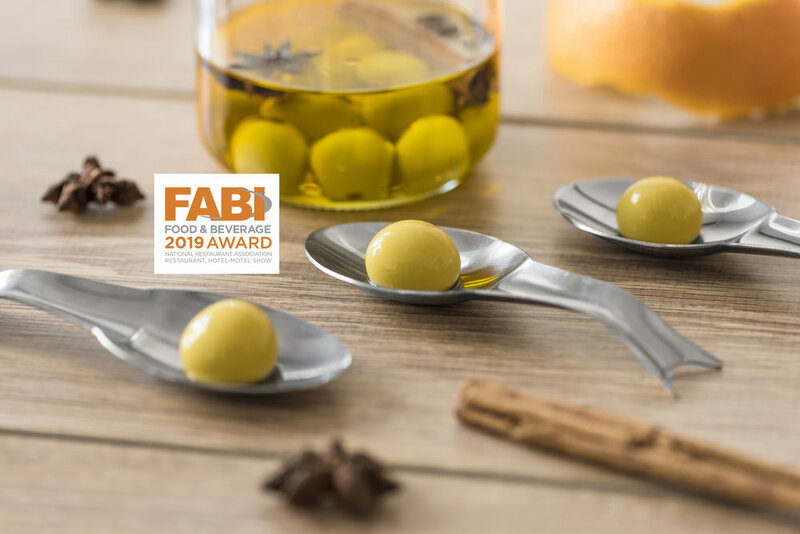 April 2018, we received the Innoval category award in the oils and vinegars category for the CAVIAROLI Drops Spherical Olive, both regular and spicy.